Family law firm Vaitilingam Kay Solicitors is using the Virtual Practices (VP) hosted legal software and outsourced cashiering service to help maintain its position at the cutting edge of change in the sector. The city of London-based firm, set up by partners Joe Vaitilingam and Anne Kay, specialises in work around divorce, relationship breakdown and issues concerning children. 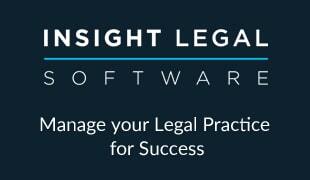 It is one of a growing number of law firms to operate without a conventional, fully staffed office function and from day one, essential IT software services for practice and case management, and an outsourced legal cashiering service, have been provided by Virtual Practices (VP). Joe Vaitilingam said Virtual Practices was initially recommended to the firm by an existing VP client. “We set up Vaitilingam Kay Solicitors as a modern law firm which could provide excellent client service at a lower cost, and a key part of this objective is having low overheads,” he says. “It took us a little while to get up to speed with VP after we signed up but we immediately began to feel the benefits – the practice and case management functions are excellent and VP’s ability to act as our ‘back office’ means we can work flexibly. Natalie Jennings, who heads up Virtual Practices, which is a division of legal software supplier , said: “It is always gratifying when one of our clients recommends VP to another law firm, which in turn then decides to adopt the system.